Pretty much everybody in the western world has internet access at home these days. It’s not a big deal: You conduct a contract with some ISP. They send you a modem/router combo box that you plug in, do some simple setup and you’re done. Those boxes are pretty much ubiquitous pieces of hardware, silently doing their work most of the time. Some of them even come with wireless access and all that other convenient stuff. Basically you configure them once and then forget that you even have one! Why would you want your own router? The paragraph above sounds great, doesn’t it? It sure does. And it actually is. Kind of. There’s only one little problem with it, really. Those boxes are more often than not meant for sunny, green meadows where unicorns graze peacefully. Unfortunately… the internet is a less friendly place: Predators, scavengers and all kinds of poltergeists are out there and after your hide, luring in the shadows ready to rip your guts out when they catch you off guard! The first thing to think about – at least for me – was which software to use. There are various possibilities to choose from. Since I’ve come to appreciate BSD operating systems, I wanted something BSD based. This basic thing decided on, I needed to find hardware that was supported by my OS of choice. However there was more to think about. While a PC is usually powered down and turned off when it’s not needed, you probably don’t want to do the same thing with your router. And while an old PC could technically do the job, for something that’s basically an “always on” device, it makes sense to use something that doesn’t draw as much power. For that reason some of those small embedded boards crossed my mind. However those are often ARM or MIPS based and sometimes don’t even have proper gigabit LAN. This doesn’t mean they are not up to the task but going with a less common architecture wouldn’t exactly make things easier. Therefore I decided that x86 was the way to go, at least for now. There’s enough new things to learn and if everything works out very well I can always play the “build your own router” game again, choosing a higher difficulty level. Ok, x86 and (preferably) low power consumption. There are various products which fit into this category, and they often are passively cooled as well which is nice, too. I read good things about PC Engine’s APU2 boards. There are reports out there indicating that they run FreeBSD and OpenBSD really well. 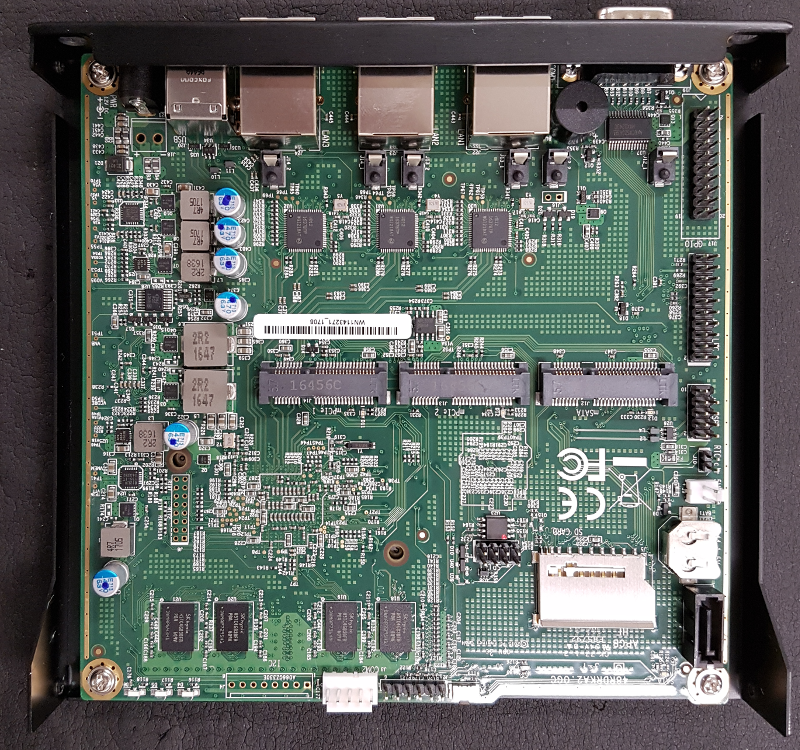 They also seem to be pretty popular among people building their own routers – and it’s not hard to see why. It makes use of Coreboot which is great and the CPU features the AES-NI instruction set that enables AES crypto acceleration which is useful as well. While the RAM is ECC technically, the firmware does not support error correction, yet, unfortunately. But that feature may be enabled with a future firmware update. In the end I ordered a bundle that consists of the board, an external power supply, an indoor case and an mSATA 16 GB drive. The APU can make use of an SD card, too, but I definitely prefer the mSATA option. And I only paid about 180 Euros for it. Sure you can get off-the-shelf routers for a lot less, but… yeah. When I received my shipment, I opened it up and took a look at the parts. Luckily a colleague who is much more experienced with hardware than I am, offered to help me. At my first attempt I wasn’t even able to get the board into the case – it didn’t seem to fit! Of course it does fit… You just have to remove the screws for the COM port first. My bundle came with a small metal heat transfer plate and two stripes of double-sided sticky tape. You’re supposed to use one of the latter to fix the plate so that it connects the plate to both the processor and the case. However my colleague asked me if I’d rather do things right and I agreed. With a marker pen he wrote marks on the on the plate to indicate where the holes on the board are. Then he removed the board again and drilled two holes through the plate and the bottom of the case. Using a screw tap he then cut two screw threads into the material. The next step was to properly clean both the plate and the CPU, put thermal conductance paste on there and put the board back in place. Now the screws could be used to correctly fix the whole thing. I also plugged in the mSATA drive. 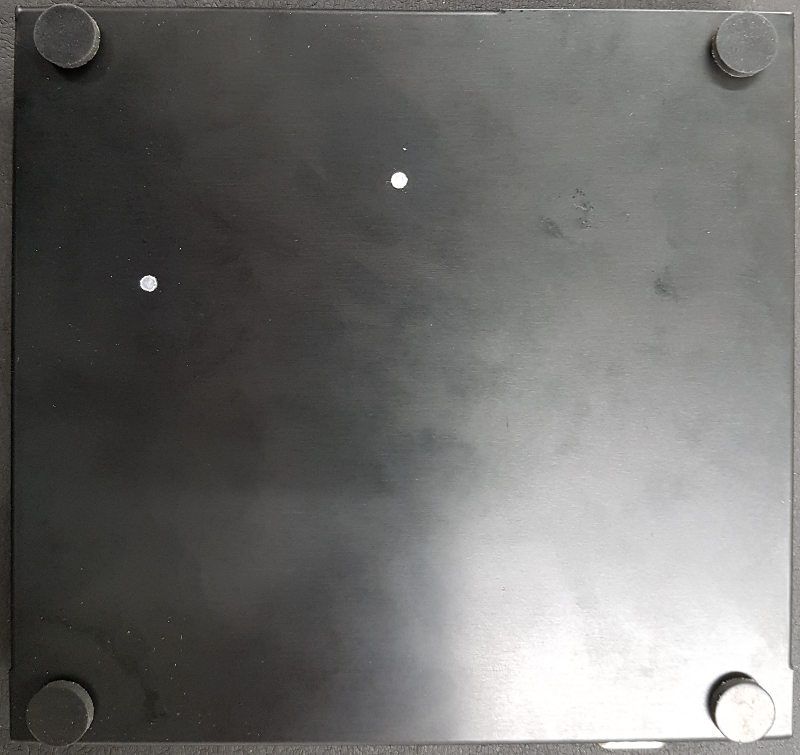 My colleague used plastic screws for the simple reason that it’s easy to cut off the overlapping parts that went through the bottom of the case. Not a bad idea! Done! I thought about painting the plastic screws’ ends black but then again that’s only the bottom of the case. I’ve been using my router for a couple of weeks now and I’m pretty happy with it (and have a lot to play with!). 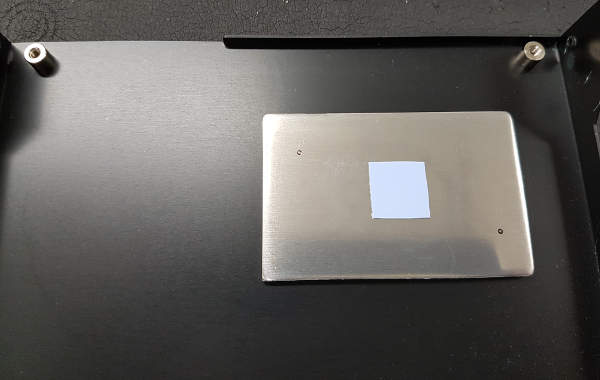 UPDATE: My colleague also got a similar APU2 and was curious enough to test how much it makes a difference to use the heat plate the way the bundle suggests or to use thermal conductance paste. He put his machine under various load situations once with the sticky tape and once with the paste applied. The difference proved to be ranging between 2° to 5° C! That really makes the extra effort worth it. 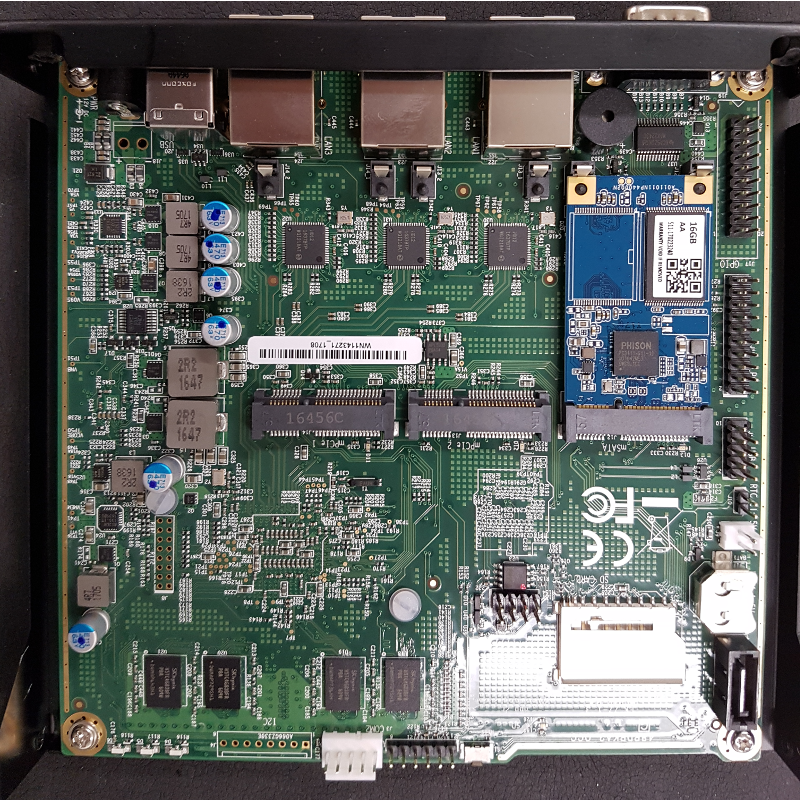 The APU does not have any VGA port, you have to attach a serial console to work with it. So that’s what the next post will be about. Do you care to share the plastic screw size? Hi desmadrilandia and thanks for the compliment! 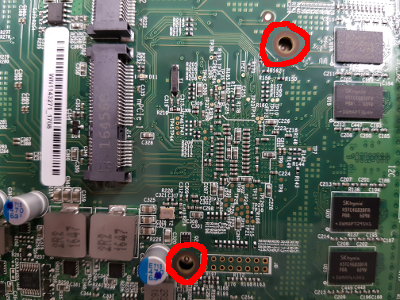 Unfortunately I don’t know what size those screws had… I got them from a colleague. However I can ask him after Christmas if he knows which size they were. I’ll post back here again if I can find it out. ZFS and GPL terror: How much freedom is there in Linux? Ravenports explained: Why not just join XYZ? One year of flying with the Raven: Ready for the Desktop?